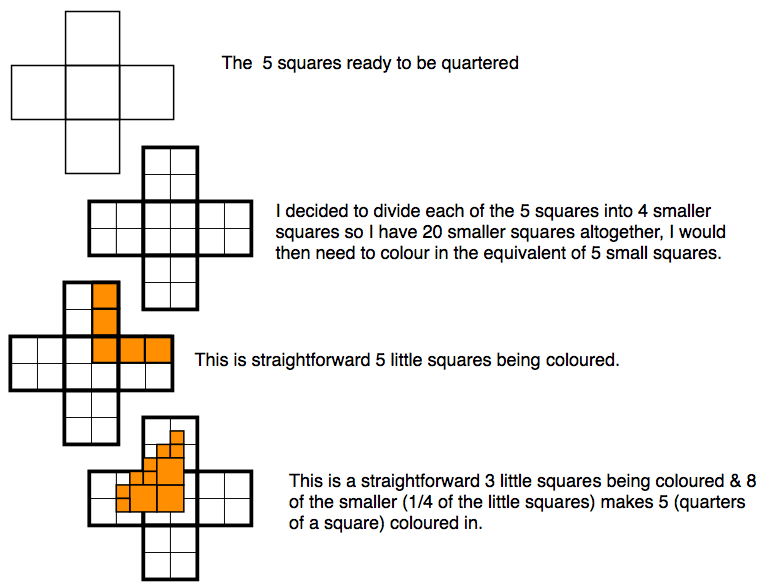 How would you colour in a quarter of 5 squares? How do you know it's a quarter? Maybe you can prove it's a quarter. Here is how Abel started off. He decided it would be good to put then in the form of a cross (or "plus" sign). 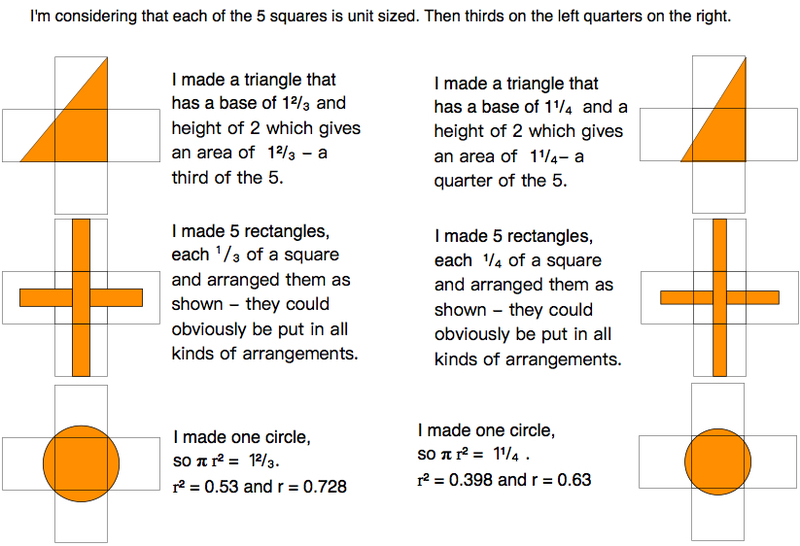 Then Raj took that idea in a slightly different direction and explored finding both thirds and quarters using similar shapes. 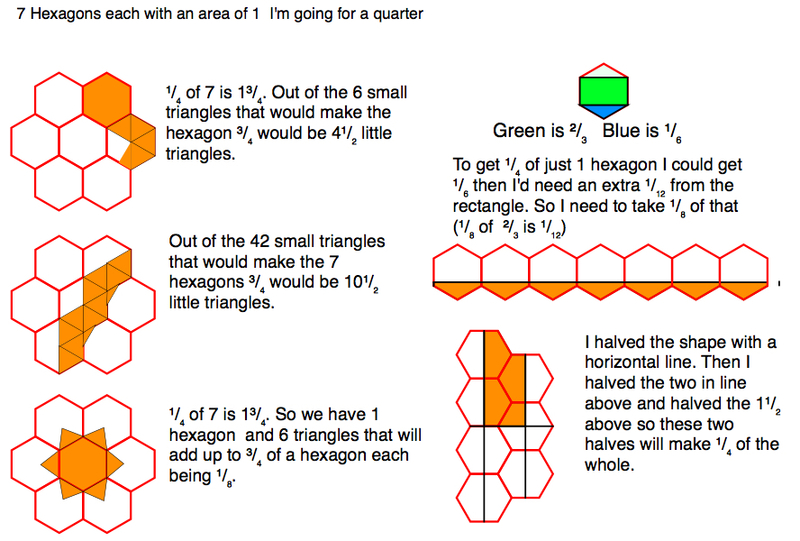 Sara took it in a new adventurous way, she's always liked hexagons but decided to take 7 of them and find a quarter.